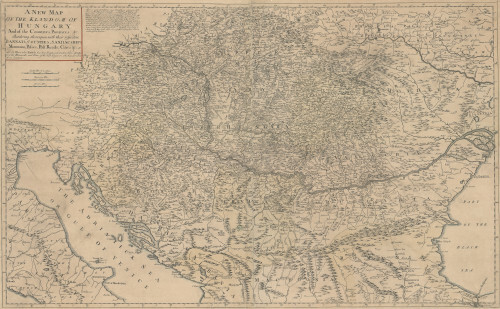 NaslovA new map of the Kingdom of Hungary : and of the countries, provinces etc. bordering thereupon ... / by Iohn Senex. ImpresumLondon : [s. n.], 1728. Materijalni opis1 zemljop. karta : bakrorez ; 105 x 68 cm.